Acupuncture has been employed as a health care modality for over 5,000 years. Modern science has begun to understand the secrets of this ancient medicine with the support of new studies conducted by leading scientists, hospitals and medical research facilities from all over the world. Today, acupuncture is receiving wide acceptance as a respected, valid and effective form of health care. 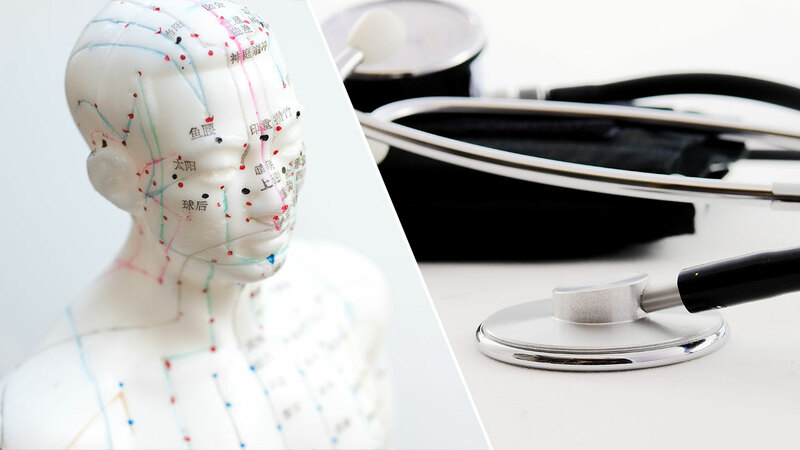 In addition to its effectiveness in pain control, acupuncture has a proven track record of treating a variety of endocrine, circulatory and systemic conditions. Acupuncture works as an effective alternative and adjunct treatment modality. It is a safe, effective and natural approach to help regain and maintain health and well-being. Acupuncture is recognized by leading national and international health organizations to be effective in the treatment of a wide variety of medical problems. “Acupuncture for Acute Low Back Pain: A Systematic Review,” The Clinical Journal of Pain, published February, 2013. “Effectiveness of Acupuncture for Nonspecific Chronic Low Back Pain: A Systematic Review and Meta-analysis,” Spine Journal,, 2013; Vol 38 (24). “Influence of acupuncture on the outcomes of in vitro fertilisation when embryo implantation has failed: a prospective randomised controlled clinical trial,” British Medical Journal, published March 19. 2013. “Acupuncture As an Integrative Approach for the Treatment of Hot Flashes in Women With Breast Cancer: A Prospective Multicenter Randomized Controlled Trial (AcCliMaT),” Journal of Clinical Oncology, published March 28, 2016. “Acupuncture for the prevention of episodic migraine,” The Cochrane Review, published June 28, 2016. Source: Copyright © 2014 World Journal of Acupuncture-Moxibustion House. Published by Elsevier (Singapore) Pte Ltd. All rights reserved. MacPherson H, Tilbrook H, Agbedjro D, et al Acupuncture for irritable bowel syndrome: 2-year follow-up of a randomised controlled trial Acupuncture in Medicine 2017;35:17-23. Quah-Smith, Im, Caroline Smith, John D. Crawford, and Janice Russell. “Laser acupuncture for depression: A randomised double blind controlled trial using low intensity laser intervention.” Journal of Affective Disorders 148, no. 2-3 (2013): 179-87. doi:10.1016/j.jad.2012.11.058. J. Traditional Chinese Medicine, 2003 Sept.; 23 (3): 201-202. Garcia MK, Driver L, Haddad R, Lee R, Palmer JL, Wei Q, Frenkel M, Cohen. Integr Cancer Ther. 2014 Mar;13(2):133-40. doi: 10.1177/1534735413510558. Epub 2013 Nov 25. Rezvani M, Yaraghi A, Mohseni M, Fathimoghadam F. J Altern Complement Med. 2014 May; 20(5):371-4. http://dx.doi.org/10.1089/acm.2013.0120. Epub 2013 Dec 28. J. Rehab. Med., 2008 Jul. ; 40 (7): 582-588. Manyanga T, Froese M, Zarychanski R, Abou-Setta A, Friesen C, Tennenhouse M, Shay BL. BMC Complement Altern Med. 2014 Aug 23; 14(1): 312. McDonald, John Leslie et al. Acupuncture – A scientific appraisal, Ernst, E., White, A., 1999, p. 74. Acupuncture Energetics, “A Clinical Approach for Physicians”, Helms, Dr. J., 1997, pgs 41-42, 66. Anatomy of Neuro-Anatomical Acupuncture, Volume 1, Wong, Dr. J., 1999, p. 34. National Institute of Health Consensus Conference on Acupuncture, “Acupuncture Activates Endogenous Systems of Analgesia.”, Han, J.S., 1997 (Bethesda, MD). Neuro-acupuncture, “Scientific Evidence of Acupuncture Revealed”, Cho, ZH., et al., p.116. Clancy Acupuncture & Wellness Clinic, Acupuncture 4 Veterans, Inc.